Relationships, like life, are complex. What works for one couple may not work particularly well for you. Everyone’s relationship is unique and to be quite honest, that’s what makes them special. 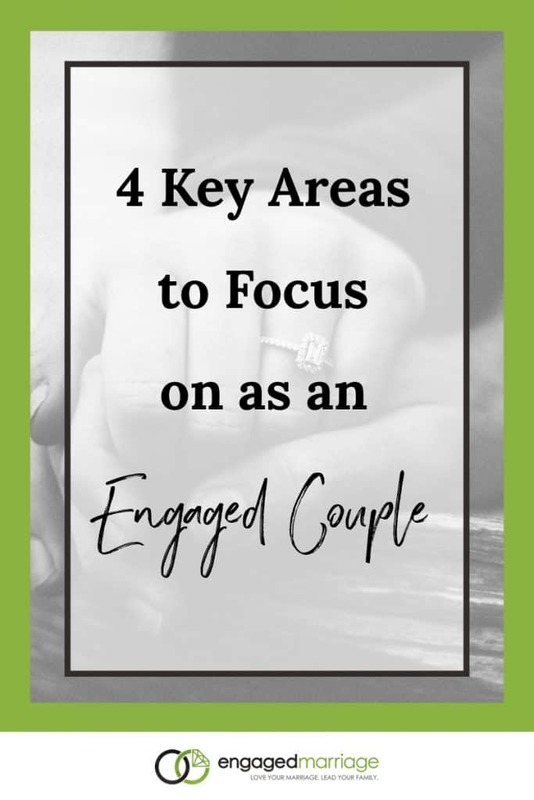 Though there is no one-size-fits-all solution to preparing for a successful marriage, there are core elements that help to create a foundation for love and prosperity. If marriage is in your immediate future, you’ll want to learn these key elements to building a better relationship. Your core values and beliefs help to create the very person that you are today. Without them, it can be especially easy to lose yourself in a relationship, crippling your ability to flourish. Before stepping into the commitment of forever with someone else you should totally have a sense of self, know who you are, what you believe in and what you stand for. Resources like therapy and faith organizations can be instrumental in helping you further understand and define those beliefs. Christian counseling, for instance, can help you to learn to cope with your relationship in a manner closely related to your core values and beliefs as a Christian. Attending religious gatherings allows you to connect with others who share values and beliefs which can ultimately help you to have a better sense of self. Everyone can talk by the time they’re just a few years old. However, talking is not the same as communicating effectively. If you enter into a relationship with someone and all you do is talk, your relationship will not flourish and ultimately may not last. Communication is just as much about listening as it is about talking. You must learn how to effectively listen to your partner, understand where they’re coming from, and respond from a place of love. In doing so, you’ll avoid a lot of arguments, and more importantly, show your spouse to be that their voice does matter in the relationship. Learning how to be an effective communicator can take some practice, and you’ll need to learn how your partner gives and receives information, be comfortable expressing yourself (and provide a comfortable atmosphere for your partner to express themselves, and much more. Games, how-to guides, and even just asking questions can help you to learn the best methods for communicating with your spouse to be. One of the biggest issues in a relationship is insecurity. When one or both partners don’t have a strong sense of self and lack confidence, it can begin to weigh on the other. It is ultimately your uniqueness that your partner loves. When you feel less than about yourself, you rely on your partner for validation, happiness, and everything in between which can be a lot for them to bare. Before walking down that aisle, get up close and personal with the man or woman in the mirror. Find out what makes you tick, your likes and dislikes, your goals and ambitions. The more you learn to love yourself, the easier it is for you to fall in love with your partner. As much as you might read about marital and relationship problems, they’re not as bad as some make it out to be. A marriage isn’t supposed to be about all the things you can’t do anymore, but more about the things you can. You and your spouse to be will be bonded for life and should enjoy this new life together. Find ways to have fun outside of the normal routine. A couple who plays together stays together. Try to keep things fun and exciting in your relationship. Go to karaoke, take trips, have a game night at home, whatever you do, just smile and have a good time. As you get ready to get married to the love of your life, keep these relationship elements in mind. Sure, any relationship will take work and marriage only multiples the amount of work required. However, if you both have strong core values and beliefs, a strong sense of self, the ability to effectively communicate, and the willingness to let your hair down every once in awhile, your relationship and marriage will last a lot longer.